As we speak, a hurricane is slowly churning its way in the Caribbean over to the state of Florida. Soon, it’ll be time to bring the alligators and pythons inside and batten down the hatches. 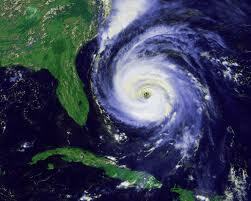 The last major hurricane to whack the U.S. was Hurricane Ike, which hit Texas in 2008. Even down here in sunny Florida, most people are completely unprepared for the severe rain, winds, flooding, and general mayhem that these storms can cause. 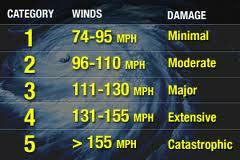 Hurricane Preparedness: Are You Ready for a Hurricane? Certainly, these storms can be severe, but they don’t have to be life-threatening. Unlike tornadoes, which can pop up suddenly, hurricanes are first identified when they are hundreds, if not thousands of miles away. We can watch their development and have a good idea of how bad it might get and how much time we have to get ready. Your family has to put together an effective plan of action with regards to shelter, food, power, and other important issues. If you do, even a Category 5 storm can be just a bump in the road and not the end of the road. Unlike some disaster scenarios, you can actually outrun one of these storms if you get enough of a head start. That’s actually one of your most important decisions: Should you hit the road, Jack? Is it time to get out of Dodge? If you live on the coast or in an area that floods often, there will be rising waters (known as the “storm surge”) that might be enough of an issue to leave. The authorities will issue an evacuation order in many cases. If you live in pre-fabricated housing, such as a trailer, or near the coast, it might just be a good idea. Cities may no longer have plans for civil defense, but they still do for hurricanes in regions at risk. Oftentimes, the municipality will assign a hurricane-resistant public building in your own community that will be designated an official shelter. What Do I Do During Hurricane Evacuation? If you do choose to leave town, plan to go as far inland as possible. Hurricanes get their strength from the warm water temperatures over the tropical ocean; they lose strength quickly as they travel over land. One caveat here: If you live on the Florida peninsula, “Head North, Young Man”! The state is relatively thin and there’s not much in the interior South of, say, Orlando. Speaking from personal experience, Hurricane Wilma in 2005 hit Florida’s West Coast and still whacked us pretty hard, just a few miles from Florida’s East Coast. It might be a wise move to make reservations at a hotel early; there will be little room at the inn for the latecomers. In any case, this is the time to check out that “bug-out bag” of yours to make sure it’s ready to go. Although most people pack for 72 hours off the grid, that number is relatively arbitrary; be prepared to at least have a week’s supply of food and drinking water, as well as (my favorite) medical supplies. If you decide to stay, make sure you designate a safe room somewhere in the interior of the house. It should be in a part of the home most downwind from the direction the hurricane is hitting you. Figure out who’s coming to ride out the storm with you, and plan for any special needs they may have. You may wind up taking care of more people that you expect, so have more water and non-perishable food that you think that you’ll need (1 gallon/day per person, and that doesn’t take into account cooking and hygiene). Make provisions for any animals you will be sheltering and move all outdoor furniture and potted plants either inside the house or up against the outside wall, preferably secured with chains. 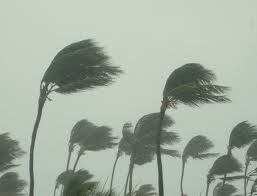 Don’t forget to batten down the hatches (put up the hurricane shutters). One special issue for South Floridians is coconuts: They turn into cannonballs in a hurricane. Cut them off the tree before the winds come. Interestingly, the palm trees themselves, as they don’t have a dense crown, seem to weather most high winds without a problem. Trees with dense crowns should be pruned to allow wind through and all dead branches removed. Indoor planning is important, as well. Communications may be out in a major storm, so have one of those NOAA weather radios and lots of fresh batteries. Turn your refrigerator/freezer down to its coldest settings, so that food won’t spoil right away if the power fails. Coolers filled with ice will extend the life of some of your more perishable items. Move furniture away from any windows that aren’t securely shuttered. Fill up gas and propane tanks early in every hurricane season. Make sure that you know how to shut off the electricity, gas and water, if necessary, and perhaps consider getting a generator and some extra gas cans. There’s another kind of power you should be concerned about. In the aftermath of a storm, credit card verification may be down; without cash, you may have no purchasing power at all. Some items less often considered include having foot and head bolts on double entry doors, and a dead bolt with a longer bolt throw length. There are ways to increase roof uplift resistance as well, simply by using wood adhesive. See: https://www.nhc.noaa.gov/HAW2/english/retrofit/roof.shtml. Of course, have some waterproof tarps available, in case of lost shingles, etc. The roofers are going to be pretty busy after a major storm, and might not get to you right away. In South Florida after Wilma, there were still blue tarps on roofs more than a year later. If you’ve hunkered down in your home during the storm, make sure that you’ve got books, board games, and light sources for when the power goes down. Kids (and most adults) go stir crazy when stuck inside, especially if they don’t have TVs or computers in service. Here’s where you will finally be thankful for those hand-held gaming devices. Take time to discuss the coming storm in advance; this will give everyone an idea of what to expect, and keep fear down to a minimum. Give the kids some responsibility, as well. 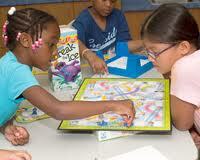 Give them the opportunity to pack their own bag or select games to play. This will keep their minds busy and their nerves calm. Some items will be useful in the cleanup after the storm. You’ll need work gloves, plastic garbage bags, duct tape, insect repellant, and even tweezers to deal with the splinters that inevitably are part and parcel of moving a lot of debris. A chain saw might be needed as well. If you’re prepared, you already have a head start on any hurricane that may come your way. Get everyone on the same page with Plans A, B, and C. The storm will have come and gone shortly, get ready now and you’ll make sure it doesn’t take you with it! When Did You Start Prepping and Why?